Due to high demand, Dutch King of Waltz, André Rieu is thrilled to announce an additional date to his 2016 UK Arena Tour. The international superstar will also now perform in London on Monday 19th December. 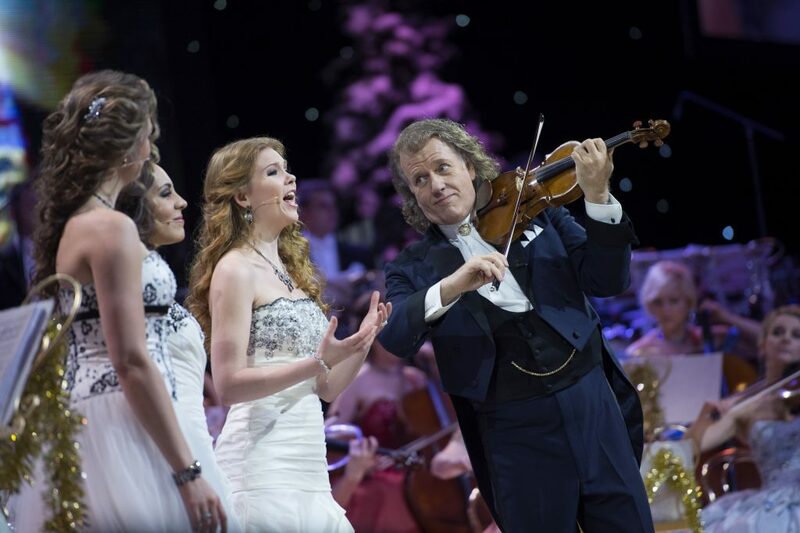 The live UK Arena – Tour 2016 is on sale now, with tickets available through www.andrerieu.com. imageOn stage André’s incredible musical prowess, passion, charisma, humour and rock-star demeanour make for a magical spectacle. His classical concerts are the only ones where people regularly jump to their feet and dance in the aisles. It’s not uncommon to see devoted fans laughing, weeping, clapping, dancing and embracing as André and his orchestra belt out classics from the world of opera, film and folk music. The international superstar is the world’s most successful violinist ever having sold a massive 40 million CDs and DVDs. Along with his Johann Strauss Orchestra, André has created a global revival in waltz music, staging spectacular extravaganzas which are second to none. Having received nearly 500 Platinum Awards, he is regularly among the biggest solo male touring artists in the world. Each year he performs in front of around 600.000 fans and outsells mega artists such as Coldplay, AC/DC and Bruce Springsteen.